Do you want to experience something really special? 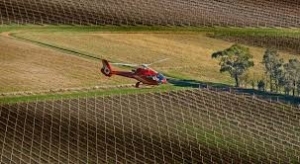 The ultimate helicopter wine tour perfectly combines two spectacular helicopter fligths, three private wine tastings at hidden gems of the region, and a long lunch degustation at an award winning restaurant. This small private tour is perfect for VIP clients, birthdays, wedding proposals, or just creating a truly unforgettable experience. Take a look at this incredible itinerary. Take Flight. We will pick you up in the morning in a black Mercedes (can pick up in the city or inner suburbs of Melbourne) and then transfer you to the helipad near Crown Casino. You will then board the helicopter and, rising from the city, enjoy a spectacular 25 minute helicopter flight before landing at Laventine Hill Estate. 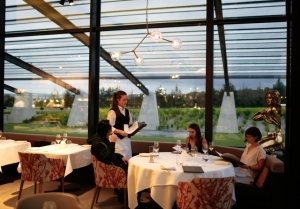 You then will be greeted by an experienced guide and transported in a Mercedes to Domain Chandon. 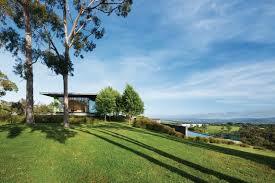 The “Wow” Domain Chandon is sparkling wine specialist in Australia. Your first tasting will be the ultimate “palate cleanser” in a private room in the lavish Chandon estate. You will be guided through 4 varieties and then choose a full flute of the wine of your choice to enjoy. The “Boutique” Medhurst produces very small quantities of exceptional wine in the Yarra Valley (You can not buy this wine in any bottle shop). Your tasting here will be in a seated location with a spectacular view. 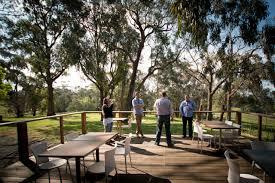 The “Award winner” Seville Estate has just been voted the “2019 winery of the year” by James Halliday and the Flying Corkscrew are proud to include it in the itinerary of this ultimate wine tour. Head winemaker Dylan McMahon is the grandson of Peter McMahon who planted the first vines back in 1972. Dylan’s winemaking techniques are delicate and labour intensive – showcasing the true fruit characters of the wine. This 5 course degustation with matching wine in Laventine Hill’s signature restaurant will allow guests to experience Ezard’s culinary artistry in the best possible way. Return Flight. The 25 minute helicopter flight along the coast of Mornington Peninsula back to the city of Melbourne will be just as spectacular on the way home.